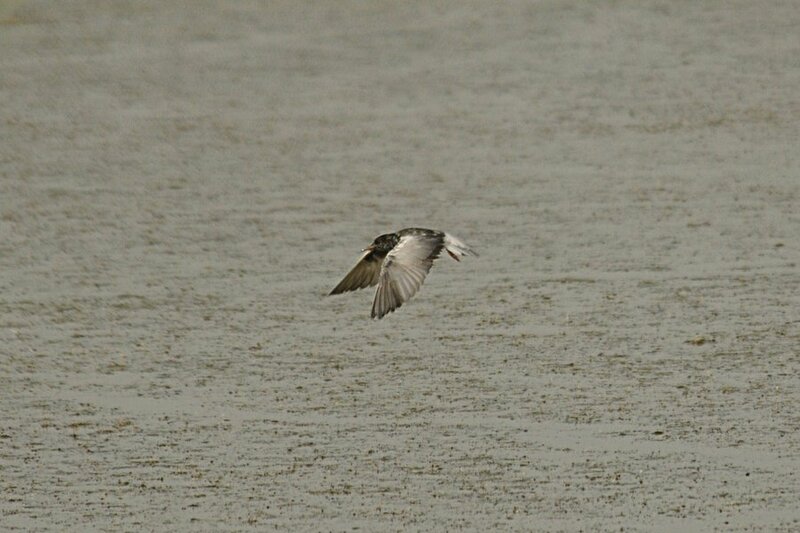 Birding at the percolation pond has been quite slow over the past month or so but yesterday I had three White-winged Terns feeding over the pond for a short while in the evening. These are the first birds I have seen here of this species for over a month and the largest number I have ever seen together. 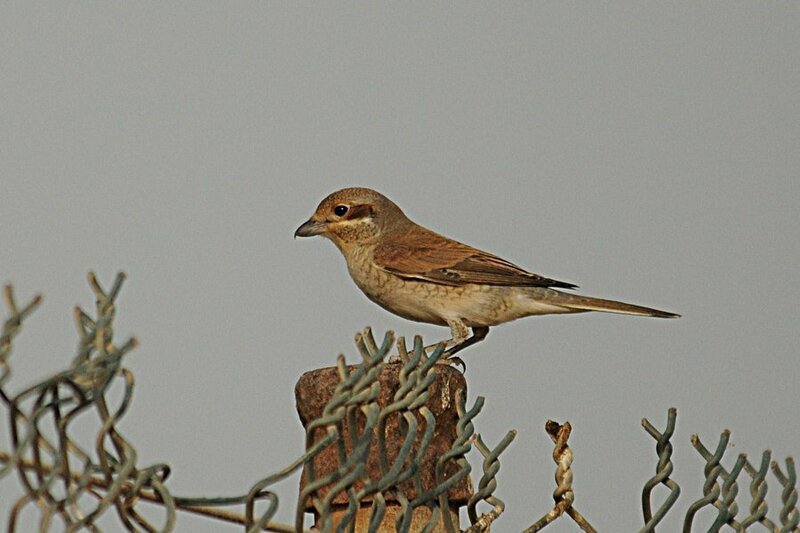 They are a reasonably frequent visitor to Dhahran but rarely stay more than a day and are most frequently seen in spring between February and late May. They also occur in the autumn primarily in September and October. Apart from the terns there were a few migrants still about including a female Red-backed Shrike and a juvenile Sand Martin indicating they may have breed somewhere nearby? 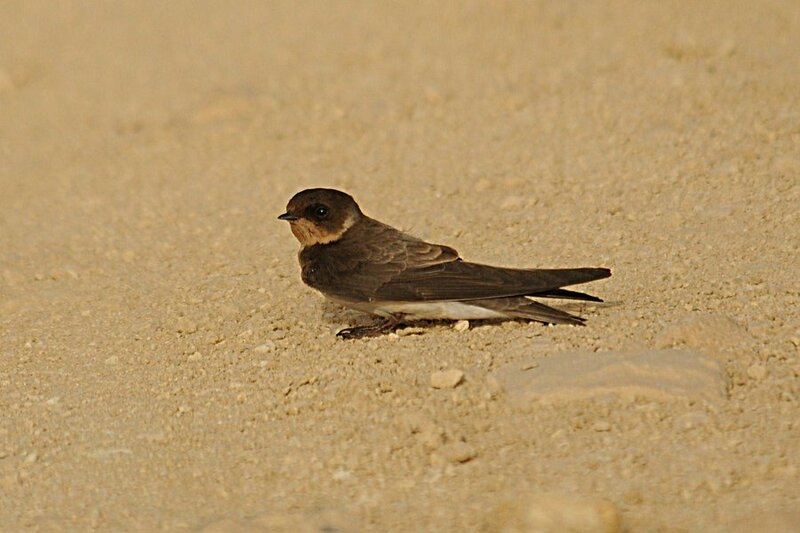 A larger number of Sand Martins were also seen flying over the spray fields. Other notable birds seen included the breeding Black-winged Stilts still on the floating pontoon in the pond, a male Little Bittern climbing around in the reed-beds and a Rufous-tailed Scrub Robin in its normal territory just outside the perimeter fence of the pond. 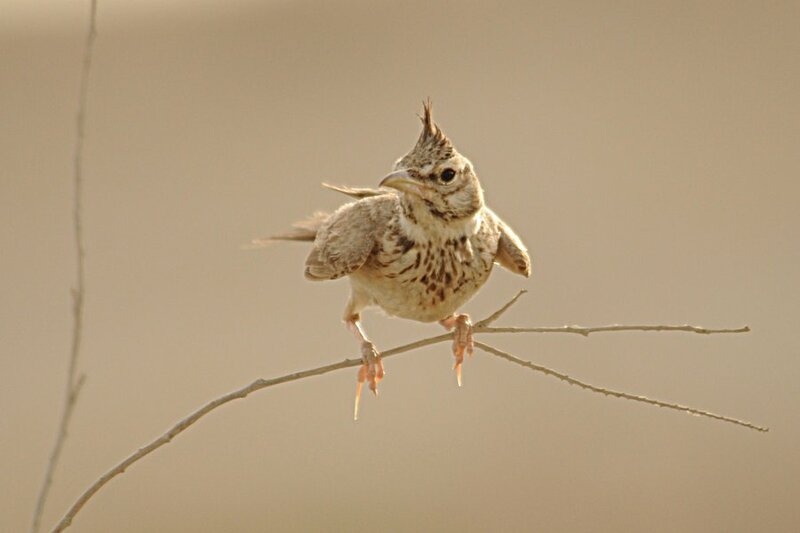 A few Crested Larks are still about in the scrubby desert area, but very little else of note.